On October 23, 2018, a jury of the Christmas toys and decorations competition took place in Kremenchuk Center for International Relations and Economic Development Kremenchuk Invest. 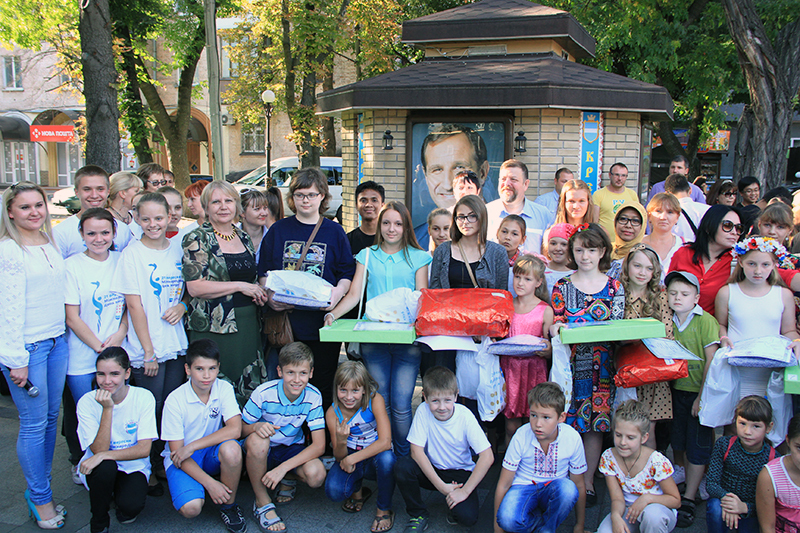 This contest was organized by Kremenchuk Invest joint-venture jointly with the Department of Education and Family and Children’s Management. In our twin city Alytus (Lithuania) in addition to the central Christmas tree this year will be built more trees of twin cities. Among them there will be a tree of Kremenchuk. The organizing committee received 103 toys, garlands, etc within the framework of the announced competition. The works came not only from Kremenchuk, but also from the Dnipro, Poltava and the village of Shishaki. All works are handmade and clearly reflect the thoughts of Ukrainian youth about the great holiday of Christmas. Oksana Kuzmenko, deputy director of PU “Kremenchuk Invest” for project activity, noted that these works are the best tool for people’s children’s diplomacy, because they will openly open the soul of the Ukrainian people to our friends in Lithuania.